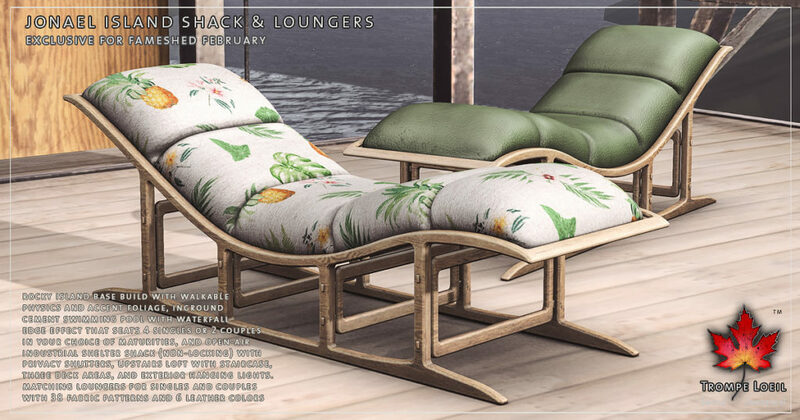 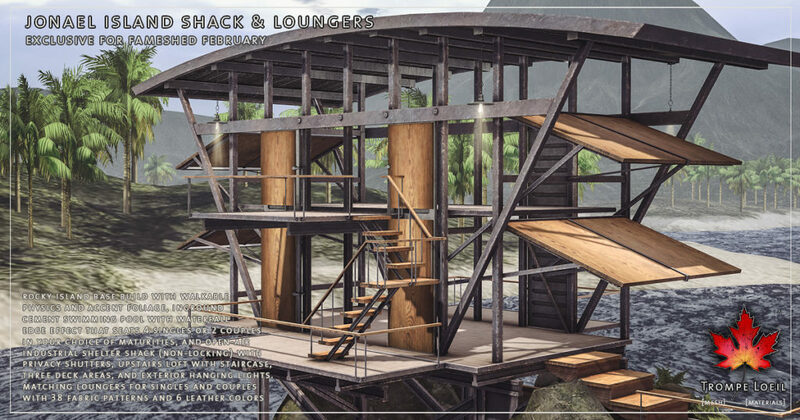 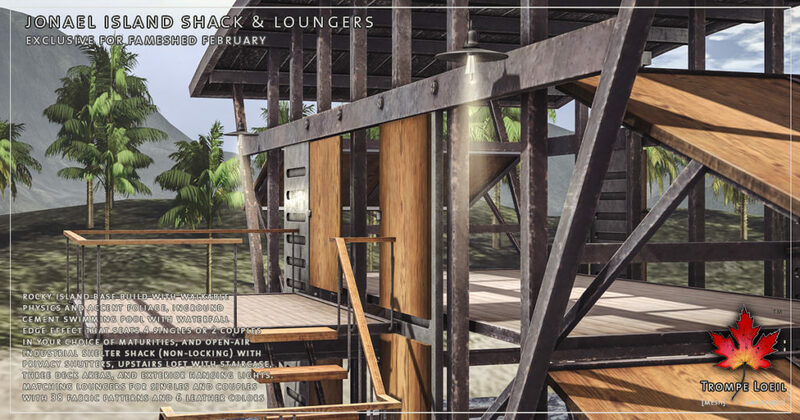 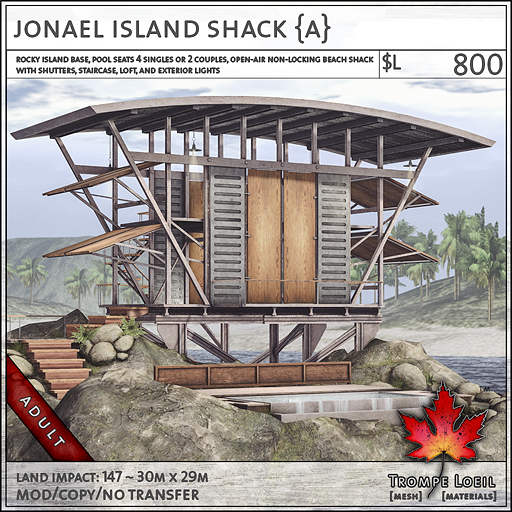 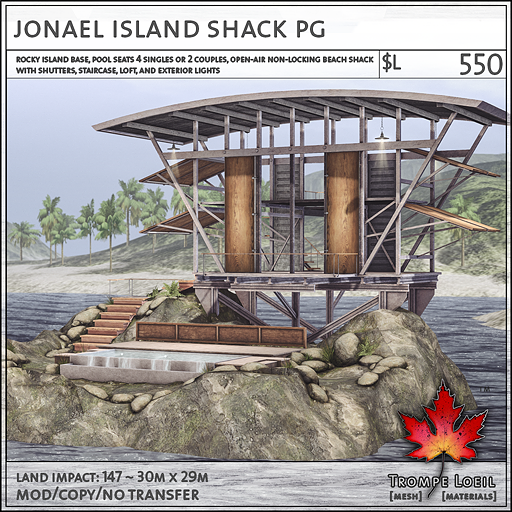 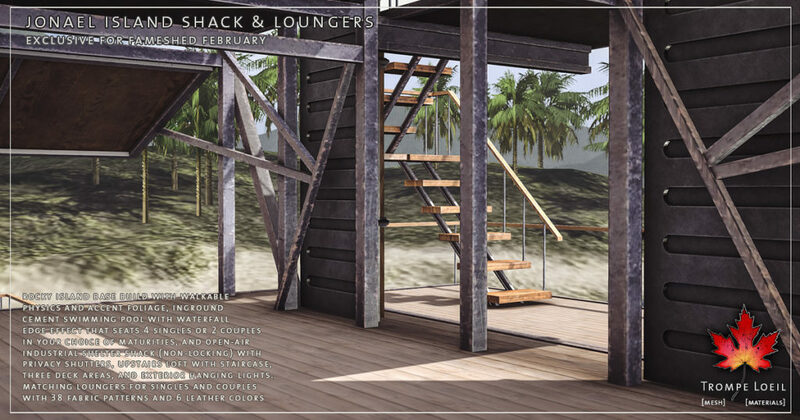 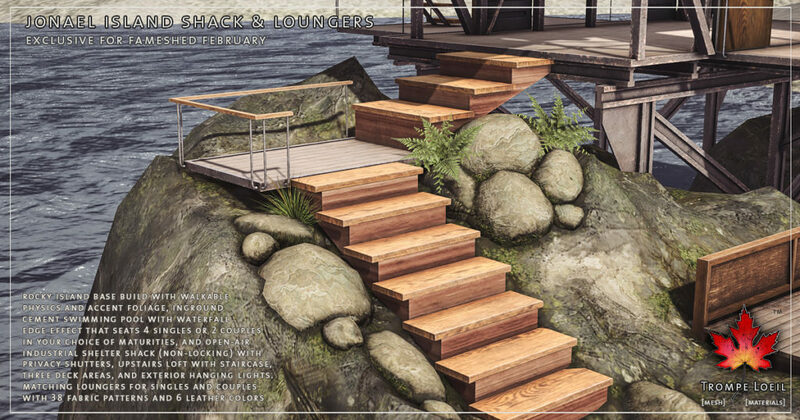 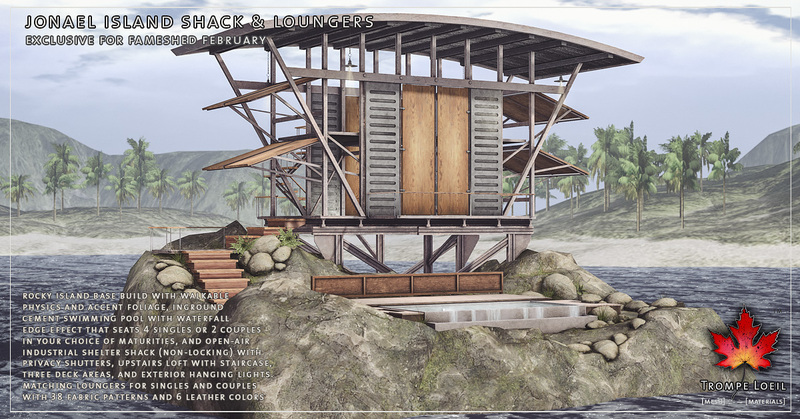 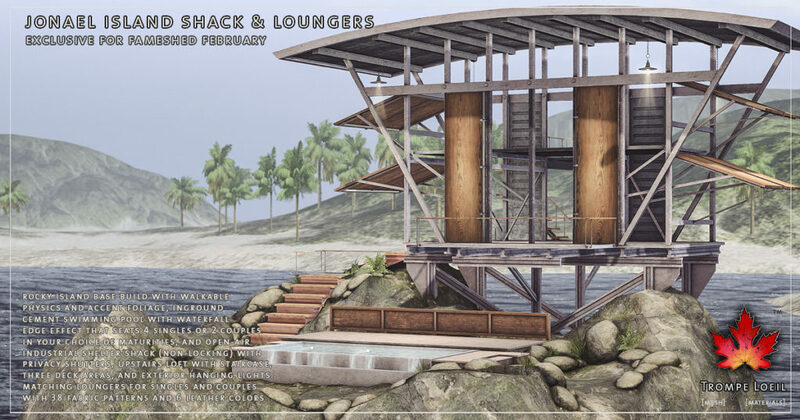 Its officially winter vacation season – take a break from the freeze and thaw out on your private island getaway, with industrial modern shade from the sun and a pool built for fun for you and 3 friends – the Jonael Island Shack and matching Loungers for FaMESHed February! 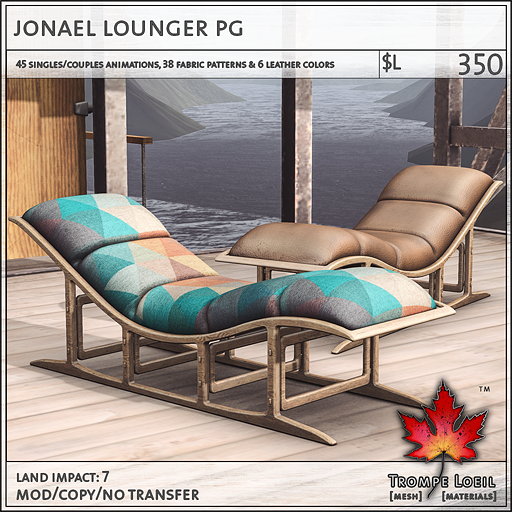 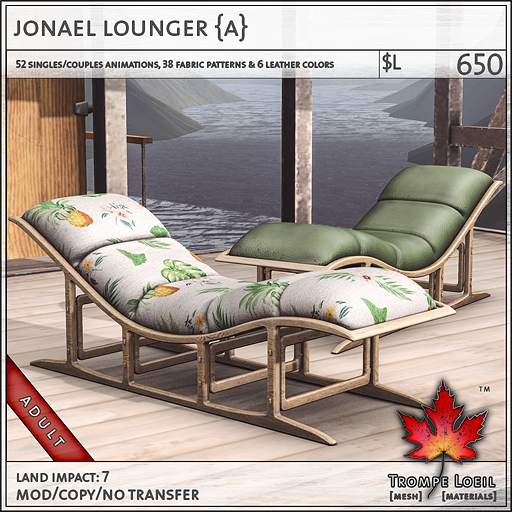 Plus, the matching Jonael Loungers feature classic styling, animations for singles and couples in your choice of maturities, and tons of fabric pattern and leather color options! 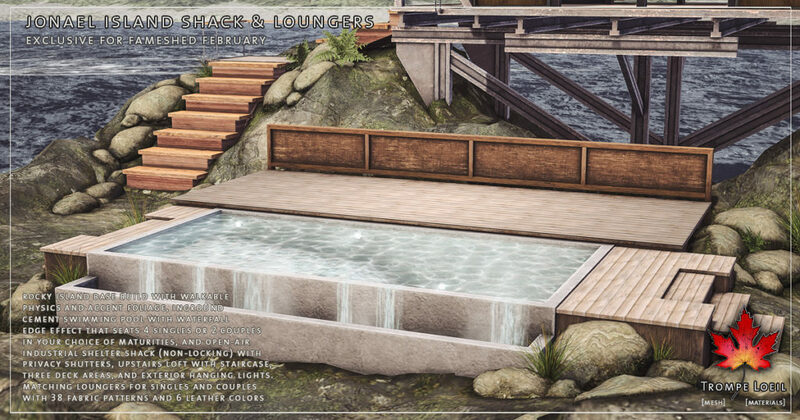 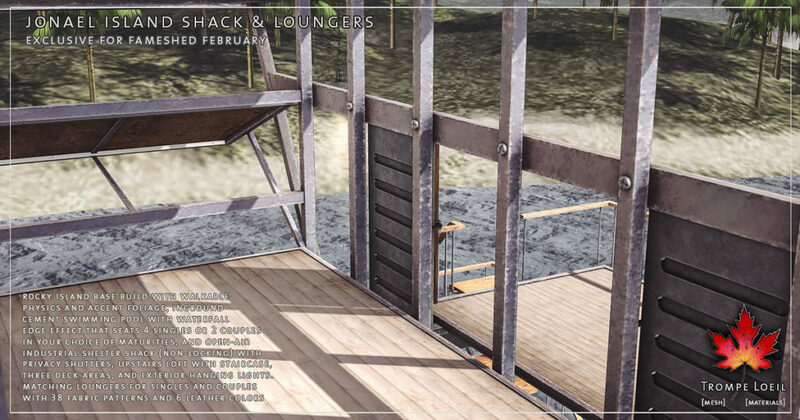 Grab both and bid the winter blues goodbye, only at FaMESHed’s February round!